Minnesota has long been home to some of America’s best-kept craft brewery secrets, but the past decade has seen an explosion of beer coming from the North. With big names calling the state home, like St. Paul’s Summit Brewing Company, to up-and-coming breweries, like Duluth’s Bent Paddle or Prospect Park’s Surly, Minnesota can easily stake its claim in the craft beer community. We pride ourselves on selecting and offering truly great craft beer to our members. 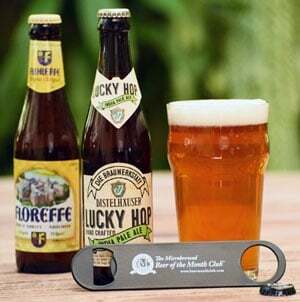 In fact, the beers listed above were made available through our hugely popular Rare Beer Club®, one of five unique beer subscription boxes offered by The Microbrewed Beer of the Month Club. Every month, member receive two to six bottles of hard-to-find beer, including member-only beers brewed just for this club. Take a look at our list of Minnesota brewpubs and microbreweries if you’re interested in finding great craft beer across the state. Remember – you or a friend can find great Minnesota beer, and beer from today’s top domestic and international breweries, with a membership to our Microbrewed Beer of the Month Club. Saint Croix Beer Co. DBA Saint Croix Brewing Co.